Indira Priyadarshini Memorial Award, Most Stylish Designer Of the Year at the Elle Style Awards in 1999, Zee Cine Award and IIFA Award for the year 2000 for the film Mohabbatein. Filmfare Award for Costume Design for Urmila Matondkar's look in Rangeela, The Showtime Opinion Poll Award for Raja Hindustani, The Siemen's Viewer's Choice Award for Dil To Pagal Hai, The Lux-Zee Cine Award and the Bollywood Award in New York for his work in Kuch Kuch Hota Hai. 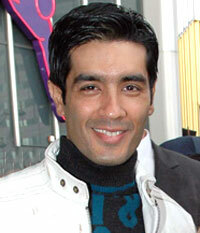 Renowned as the Fashion Guru, Manish Malhotra is one of the most successful names in the world of Indian Fashion. A person who does not need any introduction, this Punjabi Munda holds the credit for maing a designer revolution in Bollywood's fashion Scenario with his uniqueness and inimitable style in designing which can approach the entire look of the character.